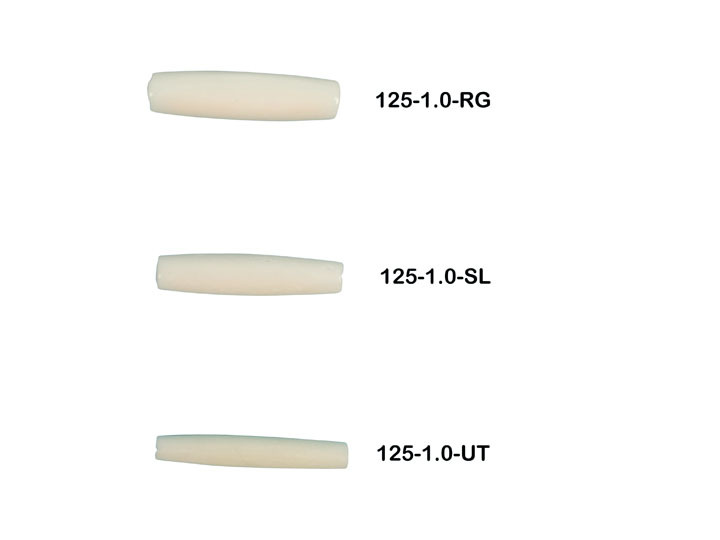 Consistent in length and thickness with very few pieces having edge damage, our line of premium quality bone hairpipe is ideally suited to craftspeople with discriminating tastes. Large holes make this hairpipe very easy to work with. They are made from water buffalo bone and come in a variety of sizes. 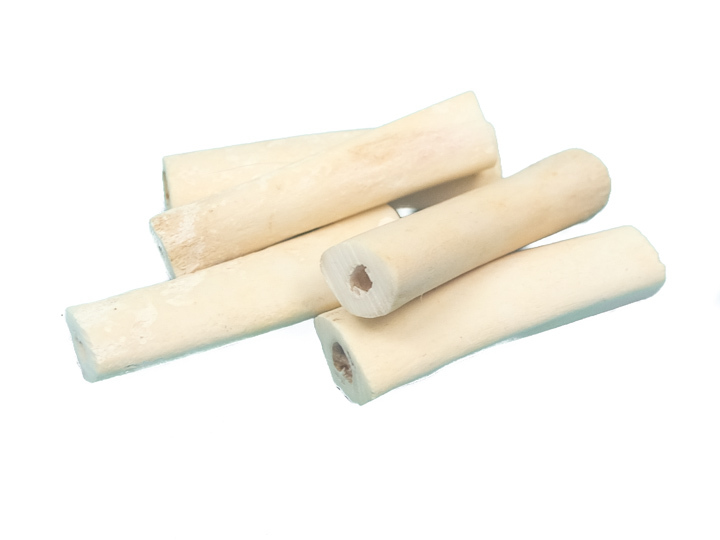 We also carry coyote bone hairpipes in various sizes. These are made from coyote foot or leg bones, which are first cleaned then cut to size. They have a 'natural' look to them, and are consistent in length. There may be slight variation among the pieces. 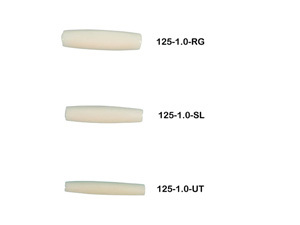 The coyote bone hairpipes range between 0.25" to 0.5" wide. These come in boxes of 100 hairpipes. However, we do sell them individually as well so that you can buy less than 100 at a time. Genus and species of water buffalo: Bubalus bubalis. Ranch raised. Both the domesticated water buffalo and the coyote are not endangered, and are not subject to CITES controls. 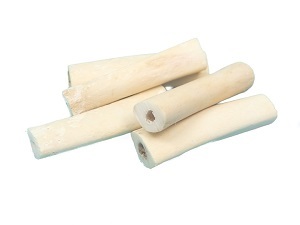 The water buffalo bone hairpipe are handmade so there will be some variation within each size.